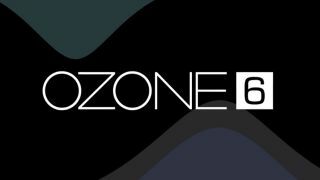 "The art of mastering is about to be reinvented"
iZotope has teased Ozone 6, the latest version of its acclaimed mastering plugin. This promises to present a redesigned interface and a new, "creative" workflow. "Reinvent timeless sounds by harnessing the sonic texture of classic analogue gear, then tweak with the surgical precision of digital software," says iZotope. "An intuitive display and robust visual feedback let you dial in your signature sound in just a few clicks." No news yet on a price or release date, but the good news is that, if you buy Ozone 5 or Ozone 5 Advanced now, you'll get a free upgrade to version 6 when it's released. Find out more on the iZotope website.